Thanks to your support, 2017 marks our 18th year in business. Valuable feedback from our test team, water safety professionals and customers has aided us in refining our product line. HSA produces products to address the specific needs of the most demanding water safety professionals and recreational enthusiasts today. The overview above depicts what we at HSA refer to as our complete “Bow to Stern” setup. 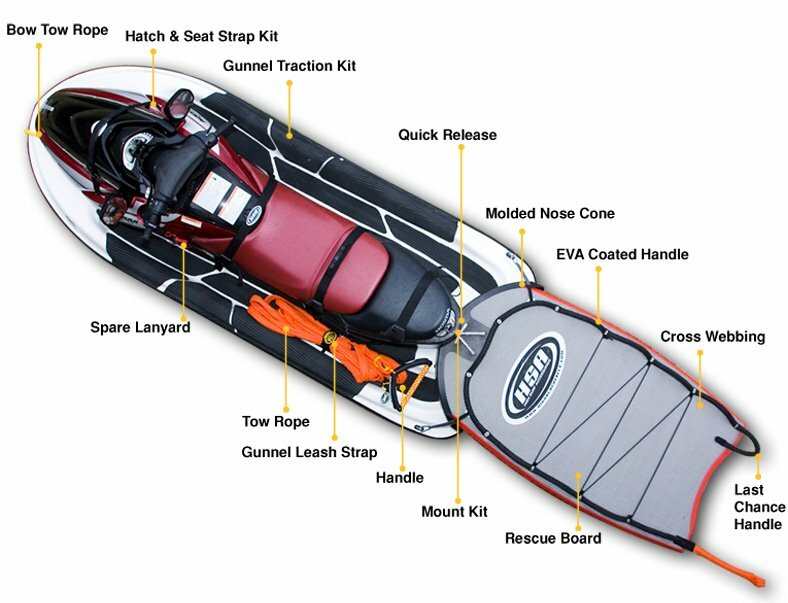 Whether your use is water rescue, tow surfing, blue water fishing or extreme recreational use, our accessories and rescue boards address the specific needs of the most demanding customer in the market today. Please browse through our products pages to understand the work we do. High Surf Accessories prides itself in the ability to create custom boards and platforms in a wide variety of shapes and sizes. Please contact us directly for all inquiries regarding custom manufacturing.